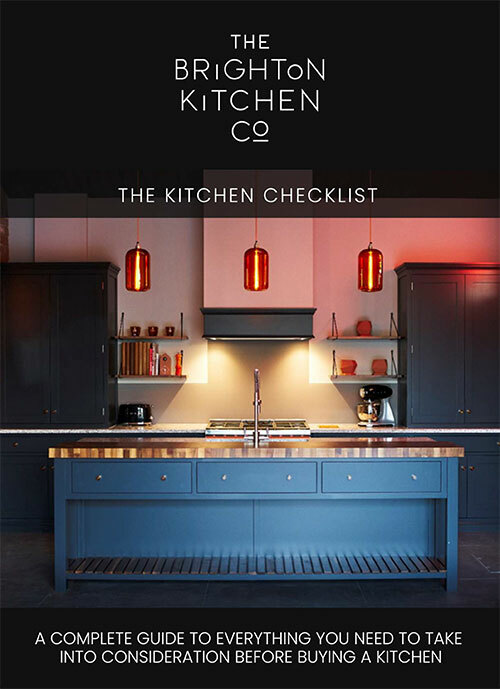 It’s always great when we meet a client who’s interested in working with colour in their kitchen scheme. We love to think outside the box and aspire to design spaces that are completely unique to each and every individual we work with. 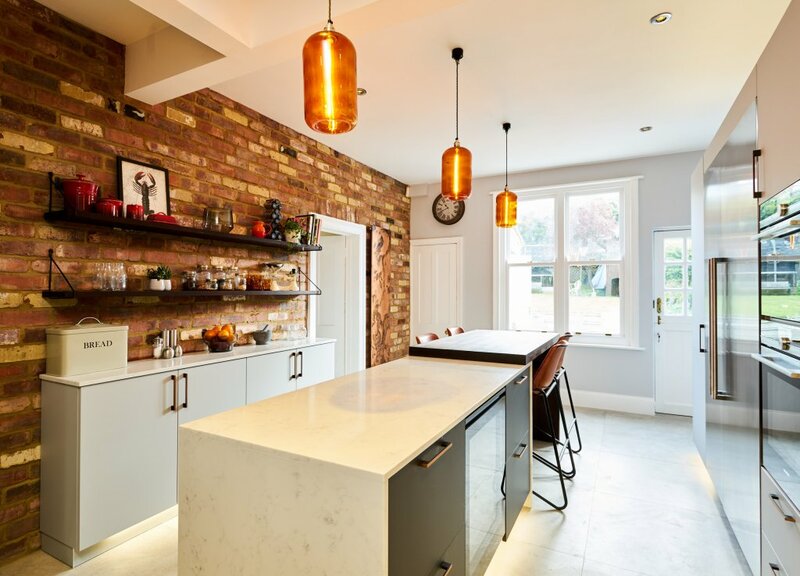 However, many people are afraid to embrace cabinetry or walls in a bold colour and opt for neutral, ‘safer’ tones such as grey, cream or white for the majority of their kitchen space. So how can you enliven your kitchen with some bold colour that will lift your space? These ideas can of course be used within an existing kitchen to breathe new life into it. Coloured splashbacks create really good impact. Companies like Opticolour have lots of experience in creating really vibrant coloured splashbacks in glass. The have 36 standard shades but also offer computerised paint-matching service that can match any paint colour you throw at them. They can also print directly onto glass panels so you could incorporate any artwork into your scheme, whilst the surface is still really practical. Plants whether they be larger pot plants, bright green herbs on a window sill, statement succulents or an elegant orchid really soften a room and bring an element of the outdoors inside. Plants are a creative layer that are as important as any of your other room accessories so be bold and take a leap into nature! Open shelving are a great way to throw some colour into a kitchen. For inspiration take a look at the Modern, industrial chic which has beautiful Thermal Ash wooden open shelves or at the White, contemporary with its box-shelving. Shelves allow you to incorporate any colour scheme into your kitchen space and you can chop and change the look as often as you like. Cookery books, interesting objects, artwork, candles, vases and glassware all look great displayed along open shelving, plus leaves the workspace clear underneath. 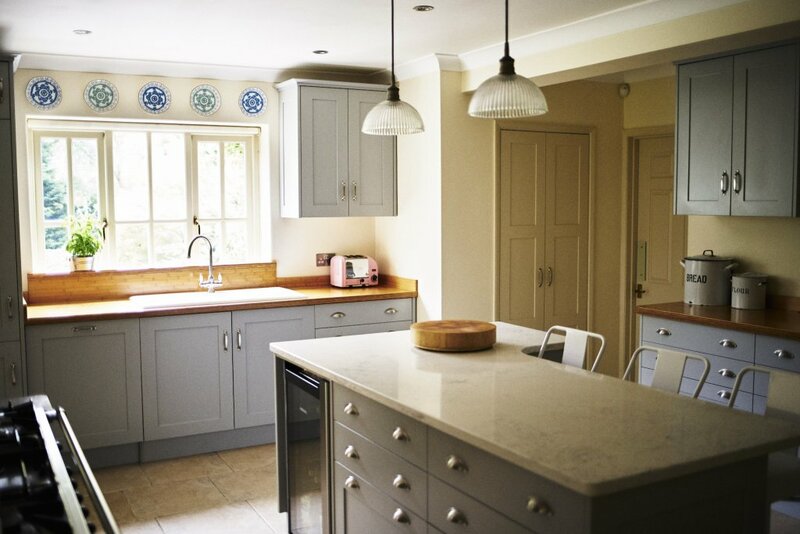 Colourful plates and bowls, as seen in our Painted traditional shaker look really stylish hung on a kitchen wall. Whether they be holiday finds, crafted pieces or junk shop buys, china can create a big impact at a low cost, however we think it looks better if you have a number hung rather than one or two (unless it’s a big piece). Finally, don’t forget about incorporating art into your kitchen. Just because it’s a functional place where you cook and eat doesn’t mean you shouldn’t be surrounded by things you love and make you feel good; art does this. A favourite piece of art could even inspire the tones of your kitchen scheme or can be added later to add a pop of colour and liven the space up.